We are excited to invite you to take part in the Scent Showcase on 20-21 June 2019 in Athens, Greece. Register now and be among the first to see brand new innovations in environmental monitoring. 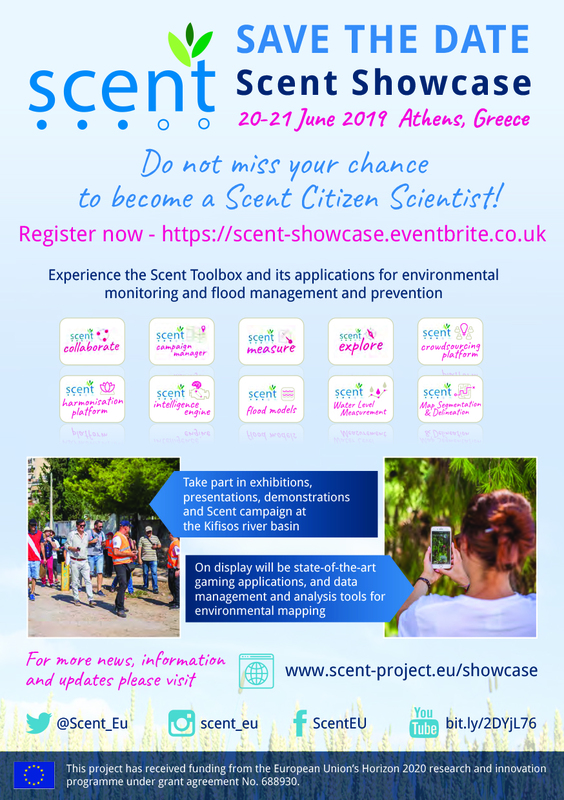 Experience the Scent Toolbox and learn how its applications supports citizen scientists and helps to manage and prevent flooding. On display will be a toolbox of data management and analysis tools for environmental mapping including state-of-the-art serious gaming apps, Scent Explore and Scent Measure. Attendees will take part in exhibitions, presentations, demonstrations on 20 June, as well as a dedicated Scent pilot campaign at the Kifisos river basin on 21 June, where they will be able to put the Scent Toolbox to the test. Register here to take part in the Showcase. A final agenda and more information will be published soon. Scent is looking for enthusiastic developers to take part in the Scent Appathon and to compete in the rapid development of a new smartphone application. Participants will be tasked to build an app that can train citizen scientists how to better use the Scent Explore app. Scent Explore is a fun, new mobile gaming app developed by the Scent project, to incentivise citizens to explore nature and report changes in their local environment. Citizens use Scent Explore to capture hidden Scent creatures and collect valuable information about water velocity by taking short videos of objects floating down rivers. You can download Scent Explore here. Participants are requested to develop an app that can teach citizens the best technique for capturing these videos. The app should allow users to practice their technique and provide feedback, tips and corrections on how to improve their skills. By improving citizens’ video technique, the winning app will support the collection of higher-quality data that is used by the Scent researchers to create models for the management and prevention of flooding! You can view the presentation from our webinars here. If you have any questions, you can also email appathon@scent-project.eu. To enter, send a short description of your idea (1000 words plus any pictures, graphs etc) and a short biography (200 words) to appathon@scent-project.eu by 29 March 2019. If you are applying as a team, a representative should apply on behalf of your team, and include the names of all team members. All entrants will receive feedback on the relevance of their submissions by 11 April 2019. Selected participants will then enter the ‘rapid development’ phase where they will develop their proposed app in a one-month period. The deadline for submitting the final developed app is by 17 May 2019 at 00:00 CET. The apps should be submitted to https://isense-cloud.iccs.gr/s/Scent_Appathon. The winner of the Appathon will be announced on 24 May 2019. Participation in the Scent Appathon is subject to the attached terms and conditions. – Promotion of the app through the project website, social media and other communication activities, including a live broadcast of the app during the Scent Showcase and the featuring of the app on the WeObserve Website. Developers are asked to create a mobile application that can train users to improve their technique in capturing videos using the Scent Explore app. The new app should provide a test suite where users can practice their video technique and check if they are following the guidelines provided to them for using Scent Explore. The app should correct them when they are not following the guidelines, and provide feedback and tips on how to improve their technique. The training material in the app can be based on augmented reality and graphics, or else use videos collected by volunteers using the Scent Explore app in previous Scent campaigns. – The video may include frames without the floating object, by only at the beginning and end. You can download the full instructions given to Scent Explore users here. Some example of videos (successful and unsuccessful) are located here. 1. The app should be compliant with the video capture guidelines, available here. Each of the seven guidelines will be tested, following the instructions inside the app. Each guideline will be evaluated as either succeeded (Score 1) or failed (Score 0). The sum of these seven scores will be input into the following formula (4*score_sum)/7. This is the largest wetland in Europe and is protected under UNESCO as a unique biosphere reserve. The Danube Delta suffers from human interventions leading to dramatic changes. These interventions include damming large areas for agricultural use and intensive forestry. They result in disturbances of the water and ecological balance and even the loss of specific habitats. The Scent pilot in Greece relates to the urban environment around the Kifisos river in Attica. This covers app. 380km2, and almost 60% of its watershed is urbanised (metropolitan Athens area). Its hydrographic network has been drastically altered due to distinct land-use and 68% of the basin is occupied by urban expanses – host to 4 million citizens. The Scent Charter is a dynamic, changing and evolving set of principles, attributes and associated key words that represent the essence of Scent and the participation of you, the public, in achieving the project aims. The Charter takes the form of a “word cloud” which is revised and re-presented on a regular basis based on input and submissions from all stakeholders including you. 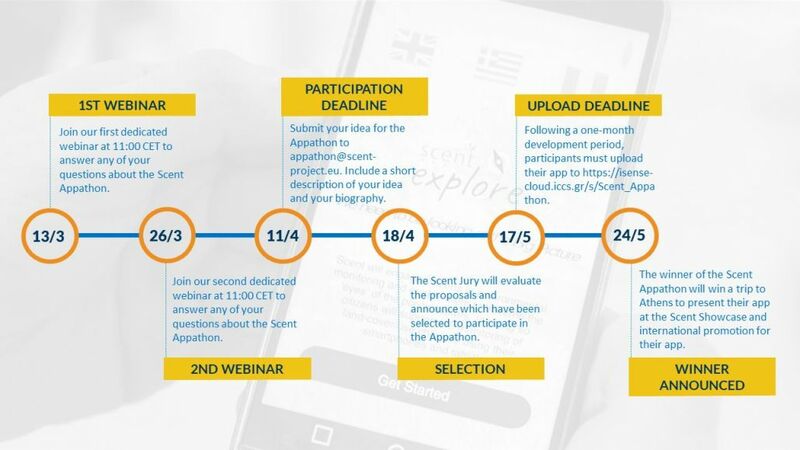 To contribute to the Scent charter, follow us on Twitter (https://twitter.com/SCENT_EU) or on Facebook (https://www.facebook.com/ScentEU/) to find calls for submission to the Scent Charter. Our aim is to capture the associations that you have with the project at any given time. The combination, recurrence and “weight” of words will undoubtedly ebb and flow at any given moment, so that the cloud as it appears today may be substantially different when viewed one week later. To get the ball rolling, we present below our initial Scent Charter cloud. We look forward to your input to shape the its next incarnation. This section of the web site will expand to contain links to further reading materials that provide background information or greater detail to some of the concepts and challenges within SCENT. As the project partners met for the kick-off meeting in Athens during September 2016, we took the opportunity to ask some of those gathered to describe what the SCENT project means to them. There are two versions below – a shorter version of approx 2′ 15″ duration and a longer edit of approx 5′. Scent is a European Union research project funded under the Horizon 2020 programme. The project runs between 2016 and 2019 and comprises 10 partner organisations across 6 countries. 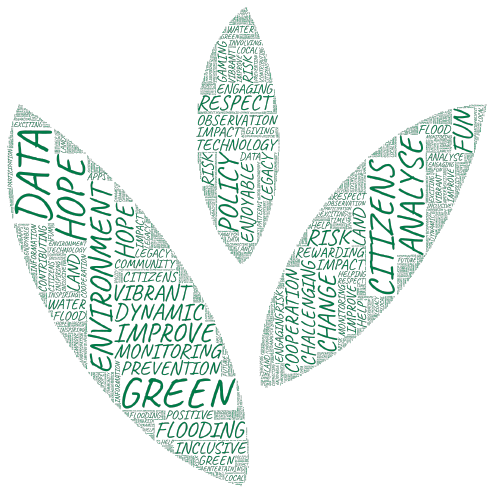 Europe has the capacity and potential to lead a global citizen movement aimed at land use monitoring through a people-centred observation web. Scent will be this movement. Scent will engage citizens in environmental monitoring and enable them to become the ‘eyes’ of the policy makers. In doing so citizens will support the monitoring of land-cover/use changes using their smartphones and tablets. The project will demonstrate the huge potential of citizen observation and monitoring of the environment. A people-led online observation movement will capture land-cover use and changes through user-friendly tools and technologies, The Scent Toolbox. This will complement existing forms of monitoring such as satellite and remote sensing which are costly and less dynamic. The Scent Toolbox; a crowd-sourcing platform, gaming applications, an authoring tool, an intelligence engine and numerical models, allows citizens, policy makers and other users to freely use Scent technologies to contribute to the aims of the project. The opinions of citizens, policy makers and communication experts will be taken into account during the design of the Scent Toolbox to ensure it is practical and user-friendly. The Scent toolbox will be tested in two large scale pilots; the urban case of the Kifisos river in Attica, Greece and the rural case of the Danube Delta in Romania. The impact of the toolbox in the assessment of flood risks and flooding patterns will be evaluated. The consortium covers the complete stakeholder chain: industries in machine learning, SMEs in crowd-sourcing, gaming and awareness-raising, leading research institutes with expertise in hydrodynamic modelling, data harmonisation and authoring tools and environmental monitoring, NGOs at the pilot sites and policy makers/public bodies. Design, develop and implement a people-centric observation web offered in the form of Open Geospatial Consortium (OGC)-compliant web services and resources to the GEOSS portal. Develop the innovative Scent crowd-sourcing platform to collect image as well as textual information from citizens; as a result, this will extend the in-situ infrastructure with citizen-sourced observations. Implement the Scent intelligence engine, which will use innovative machine learning techniques to classify and annotate images and text sourced from citizens as well as existing open platforms. Design and develop a serious gaming application to annotate unutilised images from popular open platforms, e.g. Flickr and Panoramio, as complementary data sources on land-cover and land-use changes. Quantify the impact of land-cover/use changes to flood risk maps and spatio-temporal flooding patterns. Design a simple authoring tool for policy makers to customise the Scent toolbox according to target group, regional or social characteristics. 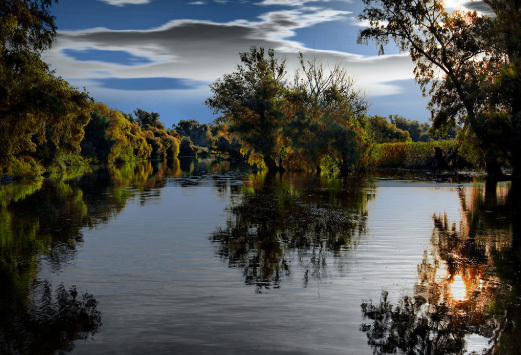 Test, evaluate and validate the Scent smart toolbox in two large scale pilots of great environmental impact; the urban case of the Kifisos river in Attica and the rural case of the Danube Delta. Increase the active engagement of citizens as individuals, citizen associations as well as local authorities in monitoring their environment through the creation of a citizen movement. The requirements and architecture design phase includes a study and analysis of user requirements and needs for a sustainable and active citizen observatory. The technical development and innovation phase consists of the design, research, development and implementation of innovative tools and solutions that make up the Scent toolbox. The integration and large scale demonstration phase involves integrating the solution and ensuring through formal testing that Scent toolbox components are interoperable and fully functional. In this phase, two large scale pilots will be carried out to evaluate and validate the Scent citizen observatory. Scent participates in the Pilot on Open Research Data launched by the European Commission along with the Horizon 2020 programme. The Open Research Data Pilot aims to improve and maximise access to and re-use of research data generated by Horizon 2020 projects. It takes into account the need to balance openness and protection of scientific information, commercialisation and Intellectual Property Rights, privacy concerns, security as well as data management and preservation questions. While open access to research data thereby becomes applicable by default in Horizon 2020, the Commission also recognises that there are good reasons to keep some or even all research data generated in a project closed. The Commission therefore provides robust opt-out possibilities at any stage. The Scent consortium supports open science and the large potential benefits to the European innovation and economy stemming from allowing reusing data at a larger scale. The majority of data produced in the project may therefore be published with open access. Scent aims to demonstrate the huge potential of an active citizen observatory that will complement existing infrastructure through the Scent toolbox. It will lead to a significant pool of observations on changes in land cover and related environmental phenomena. Data will be fed via web services into existing repositories, such as the Global Earth Observation System of Systems (GEOSS) portal. Scent will provide policy-makers with a near real-time view of land-use changes while directly involving citizens in the decision-making process. The impact of the project will be felt in many ways, especially in the environmental, societal, technical and industrial field. Citizens often feel that their efforts won’t have much impact on environmental policies and climate change. Scent will show that citizens in fact can have a real impact in environmental monitoring and identification of flood risks. Major environmental agencies and decision-makers have agreed to promote the project outcomes, which will guarantee EU-wide environmental impact. Scent will foster innovation and create jobs in SMEs, which will help fight unemployment in Europe. Scent will also improve the accuracy of existing flood risk maps by more than 15% and thus make areas close to floodplains less vulnerable to disasters. Scent promotes an open method of coordinating environmental policies. It will include regional environmental groups, public-private partnerships and citizen communities in land-use monitoring, which will encourage innovative governance schemes. Scent will bring about new technological developments and products through the SCENT toolbox, and citizens’ contributions to environmental data will be fed directly into the Scent intelligence engine. These will be key in generating precise and up-to-date land-use maps and flood risk maps for decision-makers. Scent will also extend the GEOSS and Copernicus repositories through frequent updates of local monitoring of land-use changes using the Scent Toolbox. Scent will introduce low-cost state-of-the-art tools that will encourage further innovation and boost the development of new people-centric apps, products and services. The Scent observatory will promote Europe in the global environmental monitoring market. Citizen engagement will foster the creation of new SMEs and boost innovation in current European SMEs. Scent will reveal an untapped potential for the gaming industry and the crowd-sourcing and social media industries to enter the environmental field.